Happy Monday and Happy Mothers Day to all who celebrated it yesterday! Welcome to the MCT Scrapping the Little Things! We actually had shutters installed in our home so we were kind of forced to stay home. :( Anyways, Im so happy to be back in the MCT family. (At least for this week!) I missed everyone so much! 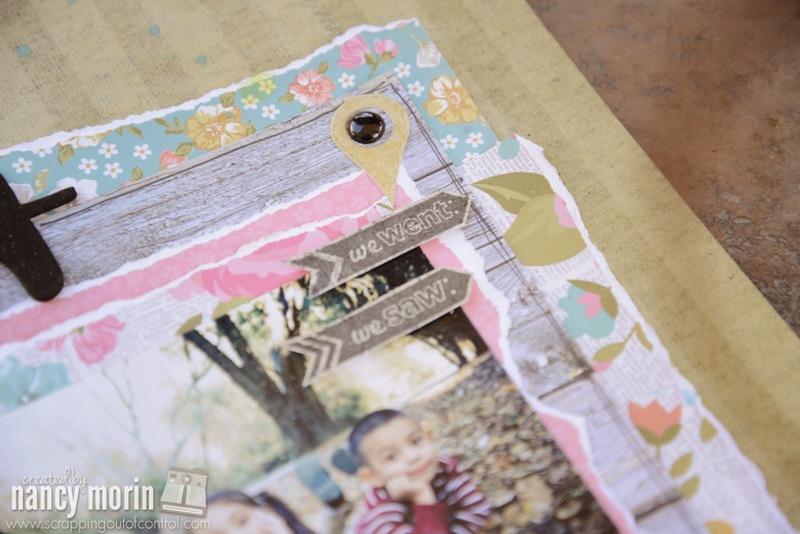 I made a layout for the Scrapping the Little Things series, and boy am I rusty! It feels like forever! I have been working on my Esty store and also doing a ton of remodeling around my house! So I feel like I didn't do my best since I had a hard time finding my MOJO! I hope it returns soon! I was excited playing with MCT products! I used a few of the oldies but goodies along with some new MCT products! This is a picture of my kids last November. Boy are they growing up fast! Its a very simple layout. But I still love it! Its kind of smashy style…I guess thats my given style because I wasn't even trying to "Smash". lol. Thank you so much for stopping by today. Make sure you check out the rest of the design team for more inspiration! Big crafty hugs!!! 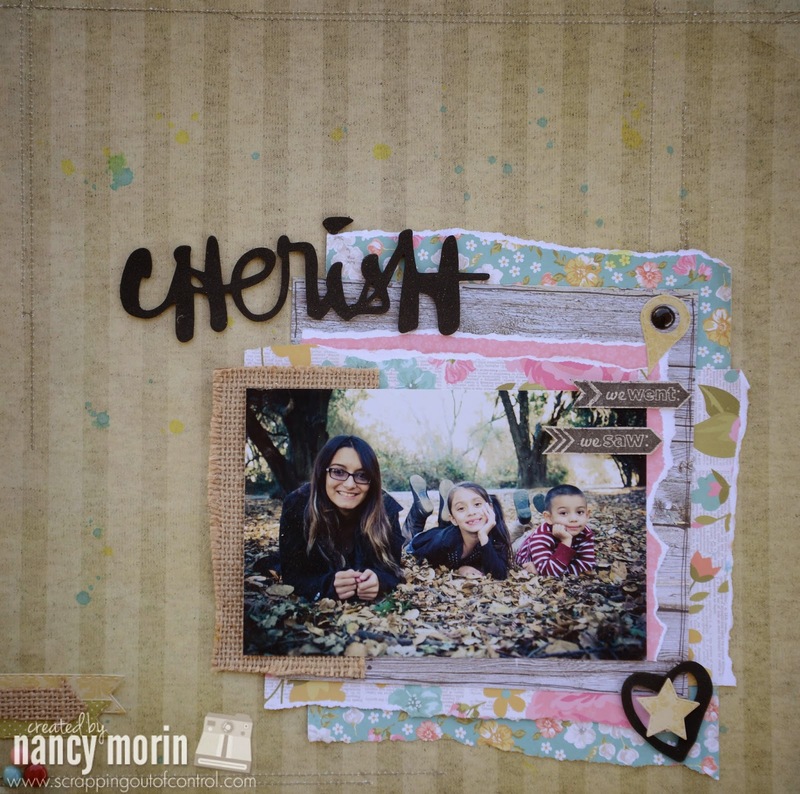 Gorgeous layout Nancy!!! Love that picture of your kid's too! 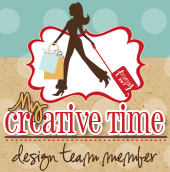 Awesome LO ~ great designer spot!! Your layout is so fun. Super cute poses. Super cute layout Nancy!!! Thanks for joining us today as the Guest Designer!! What a FABULOUS LO Nancy!!! OMG I love it!!! 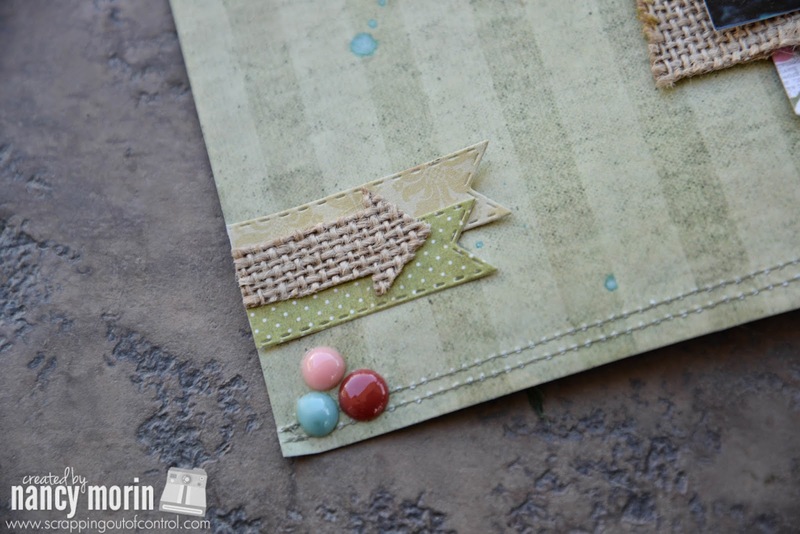 Thanks for sharing your gorgeous project and for being such a FAB Guest Designer!! Nancy ~ I am thinking the remodeling has done something with your head and eyes... this is seriously AMAZING, STUNNING and BEAUTIFUL!!!! You know I think those little ones( I say that gingerly as there is a teenager in the pic) are GORGEOUS but the design, details, papers and everything else is FABULOUS! So happy to have you back ~ and when you think you lost it ~ send your stuff my way ~ TIA!